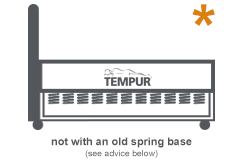 Of course we can offer you a wide choice of bed frames and bases, ranging from classic divans or ottomans with practical storage solutions alongside stylish frames, both standard and adjustable. 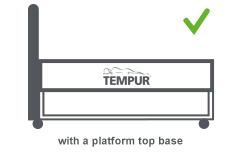 All have been designed to optimise the performance of your TEMPUR® mattress. Whatever you decide to do, to ensure you make the right choice here are some points to help you. We know this is a big decision so if you need extra help, please contact us. 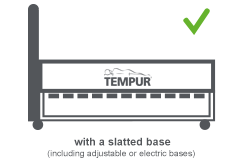 We want to ensure you've match your mattress with the perfect bed base.